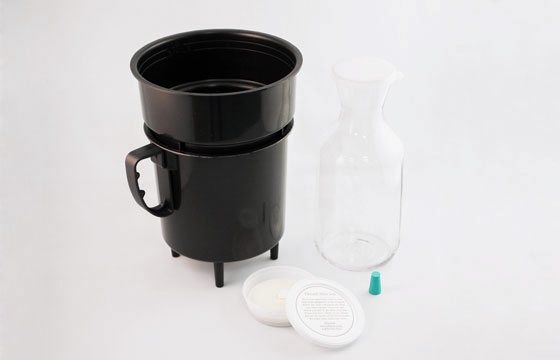 A cold water brewing system that steeps coarsely ground coffee for 20-24 hours. The Filtron makes approximately 1.2 liters of coffee concentrate, which can then be diluted to taste. Click here for our Filtron cold brew recipe.